Please fill out your answers to the questions below as openly and honestly as possible. Once you submit your questionnaire, you’ll get the link to schedule a call where we will determine if you are a great fit for our program and then if it’s the perfect fit, we will get you set up for a New Client Case Review with Dr. Kan! How were you referred to us? Your immune system is designed to protect you from foreign invaders such as microbes and toxins. Autoimmune disease occurs when your own immune system is attacking your body. Common autoimmune diseases include Hashimoto’s thyroiditis, rheumatoid arthritis, lupus, multiple sclerosis, celiac disease and approximately 120 other types of autoimmune disease. According to American Autoimmune Related Diseases Association, up to 50 million Americans suffer from autoimmune diseases, and this number is on the rise. Putting this in perspective, heart disease affects 22 million and cancer affects 9 million. So there are more Americans suffering from autoimmune disease than heart disease and cancer combined. Conventional medical treatment for autoimmune disease is limited to powerful immunosuppressant drugs that have serious side effects. In fact, most autoimmune patients are not prescribed these drugs because the risk outweighs the benefit. This approach, however, does not address the root cause. Current medical approach also looks at autoimmune disease at the organ and tissue level. Hashimoto’s thyroiditis is treated as a thyroid disease. Rheumatoid arthritis is treated as a joint disease. Multiple sclerosis is treated as a nervous system disease. However, ALL AUTOIMMUNE DISEASES ARE THE SAME DISEASE. The commonality between all autoimmune disease is the IMMUNE system attacking one’s own body. Therefore, successful management of autoimmune disease must address the underlying triggers and root cause of immune over activation. Autoimmune disease is a multifactorial condition. There is no one smoking gun, but rather a complex interplay between genetics and our environmental. However, by addressing the key leverage points in the body that affects the immune system the most, we can tip the odds in our favor. Since at least 70% of your immune system resides in the gut, focusing on gut health will give us the biggest bang for the buck in terms of improving gut-immune axis function and reducing inflammation. Leaky gut is a state where your intestinal lining becomes too permeable. 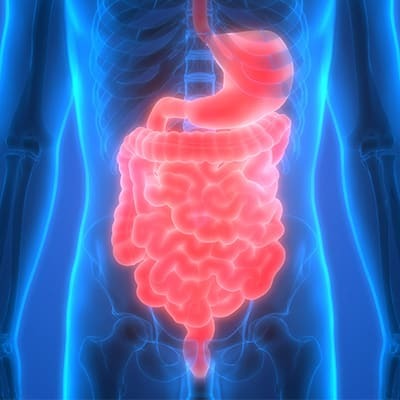 Undigested protein and toxins may leak out of the hyper-permeable intestinal tract on a cellular level, leading to malabsorption and inflammation. This can become a vicious cycle of immune over activation and sets the stage for autoimmune disease. Leaky gut can be healed by removing processed foods, sugar, gluten, among other reactive foods. Nutrient deficiencies such as Vitamin D and glutathione may also need to be supplemented. Finally, environmental toxins and underlying infections may need to be identified and eradicated so they do not continue to trigger autoimmune flare ups. There is a better way! Proper autoimmune management requires first identifying the root causes such as food sensitivity, leaky gut, environmental toxicity such as heavy metal toxicity and pesticides, chronic infections such as viral infections, gut infections, SIBO, candida and parasites, and stress. An effective program includes nutrition counseling and coaching to create sustainable nutrition intake, specific supplementation based on lab tests, targeted detoxification to reduce toxic burden, and lifestyle strategies to modulate stress response and enhance physical fitness. Have your doctors done all of this in one integrated program that has been used with over 5,000 clients? If you are still struggling with autoimmune symptoms despite your current treatment, it's time to experience the NeuroMetabolic Integration difference! Schedule a 15 Minute Free Discovery Call so we can help you gain clarity and identify where you are stuck, and see if our program may be the solution you need to finally get answers and get your life back. Your privacy is important to us and we will never share or distribute your information. Start Here to Find Out How Dr. Kan Can Help You. Information on this site is purely for educational and informational purposes only. Information presented on this website is not meant to diagnose, treat, prevent or cure any medical condition. Our care does not replace you seeing a medical practitioner or the need for medical treatment. Statement presented on this site has not been approved by the FDA. Testimonials and results shown on this website are unique to those individuals and does not guarantee results for you.